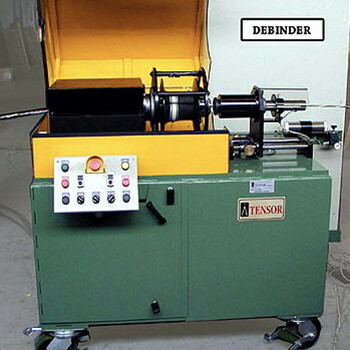 Debinder | Tensor Machinery Ltd. The Debinder automatically removes binder or yarn from cables. It is used to repair cables so that they can be re-jacketed or so that the tubes or wires can be easily removed without using a knife or other instrument that can damage the product. The Debinder is portable and can be used throughout the plant. A floating sensor determines the pitch of the material as it is wound up on a split tube. Once the tube is full, it is removed and the scrap material is discarded.